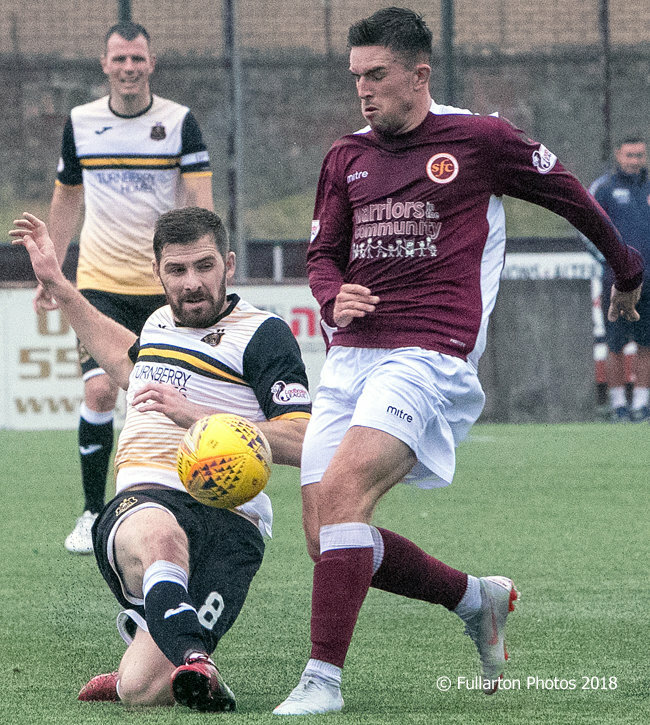 DUMBARTON sank to second bottom of League One with a dispiriting 2-1 defeat by Stenhousemuir on a dar afternoon at Ochilview. Injury-ravaged Sons were ahead early when Jack Aitchinson flicked the ball on to Iain Russell and his cross was glanced on by Rory Loy to Bobby Barr at the back post. He duly knocked the ball under keeper Graeme Smith to make it 1-0 on six minutes. However, Stenhousemuir struck back almost immediately when a cross into the box two minutes later was met by Seb Ross, who flicked the ball over keeper Grant Adam for 1-1. Dumbarton had much of the possession for the remainder of the half, but could not capitalise on it and looked vulnerable at the back. There were chances for both sides after the restart, with the Warriors looking more threatening on the break. On 80 minutes the home side went in front. Conner Duthie was the man breaking the deadlock for Stenny, cruising in on the near post to strike the ball home for 2-1. The defeat leaves ahead of only East Fife on goal difference. Kyle Hutton is pictured battling in midfield.